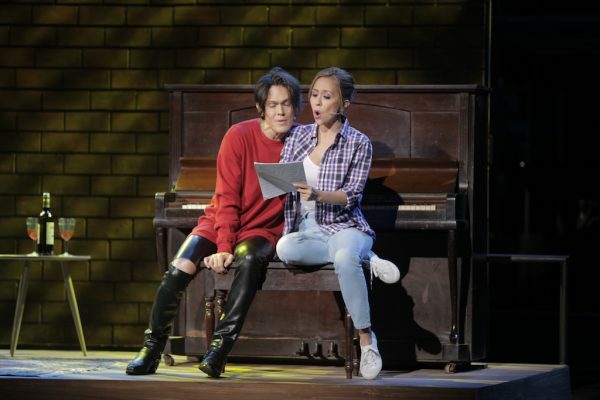 The new jukebox musical running at the Newport Performing Arts Theater features so plain, so formulaic a story that it was up to Air Supply’s schlocky tunes to make things interesting. In Jim Millan’s book, run off the mill rock star Jamie Crimson (Mig Ayesa) with the help of excessively cheerful Stacie King (Tanya Manalang), go off to win back an ex-girlfriend (Rachel Alejandro) instead of honoring a contract with struggling music producer Tommy King (Raymund Concepcion). It’s a simple premise featuring cheesy dialogue that might have been hilarious, but the assembled cast weren’t all that funny, least of all Manalang, who would later make up for it by showing she can sing like nobody’s business in two solo numbers. It was still entertaining, however, with Millan forgoing any pretense of weaving Air Supply’s songs into the story and instead writing plot and dialogue merely to set up the songs. In an early scene, Tommy King goes into an overly long monologue about a dead wife that barely factors into the plot just to sing ‘Here I Am’. Stephen Amos (Musical Supervisor, Arrangements, and Orchestrations) didn’t touch the very 80s sound of the songs. In fact, most of Air Supply’s greatest hits (‘All Out of Love’, ‘Every Woman in the World’, Lonely is the Night’) are sang nearly as they are that you can probably sing along. It’s not to the show’s detriment, of course. 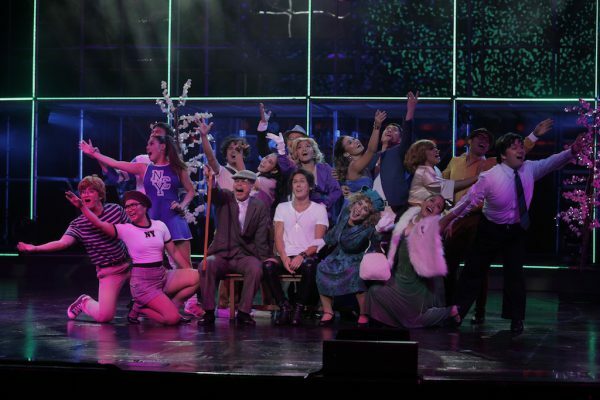 The songs are actually the musical’s strongest suit, giving audiences something familiar to latch onto when the plot doesn’t capture interest. It also helped that director Darren Yap did pick some of the country’s best singer-performers for the role. Robert Brunton’s set and LED design dominated the production. His neon lighting and images of New York City at night staged a grandeur and look that was a bit too moody for the cloying story happening within it. Most notable was the emergence of a taxi cab, built with nothing but yellow lights, entering and exiting on stage in mesmeric and distracting flash during ‘Keeping the Love Alive’. Along with Manalang’s prowess in singing, Ayesa’s rock star voice injected some new blood into these old karaoke fares making the music the true star of the show. But, the production ultimately has about as much charisma as watching an Air Supply concert, which I suppose would depend on how much you still enjoy Air Supply in 2018. The show was developed by an Australian creative team, and they staged a fairly polished production even with the depthless, undercooked story. The performances excelled when there’s music involved, but mostly fell flat. The result is a middling show that’s vaguely entertaining, but also forgettable; ‘Two Less Lonely People in the World’ stuck in your head for days after notwithstanding. 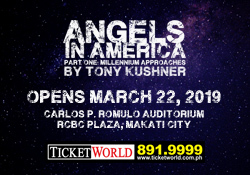 Editor-in-Chief / Chief Reviewer for TheaterFansManila.com. Bylines at Cosmo.ph, Spot.ph, and ABS-CBN's NoInk. Writer by trade and temperament. A self-professed art appreciator, she'll watch anything once. Find her on Twitter and Instagram. Next WATCH: New 'Mary Poppins Returns' Trailer Released! #TFM8for8: Win tickets to musicals!